Ships tomorrow if you order in the next 19 hours 38 minutes. 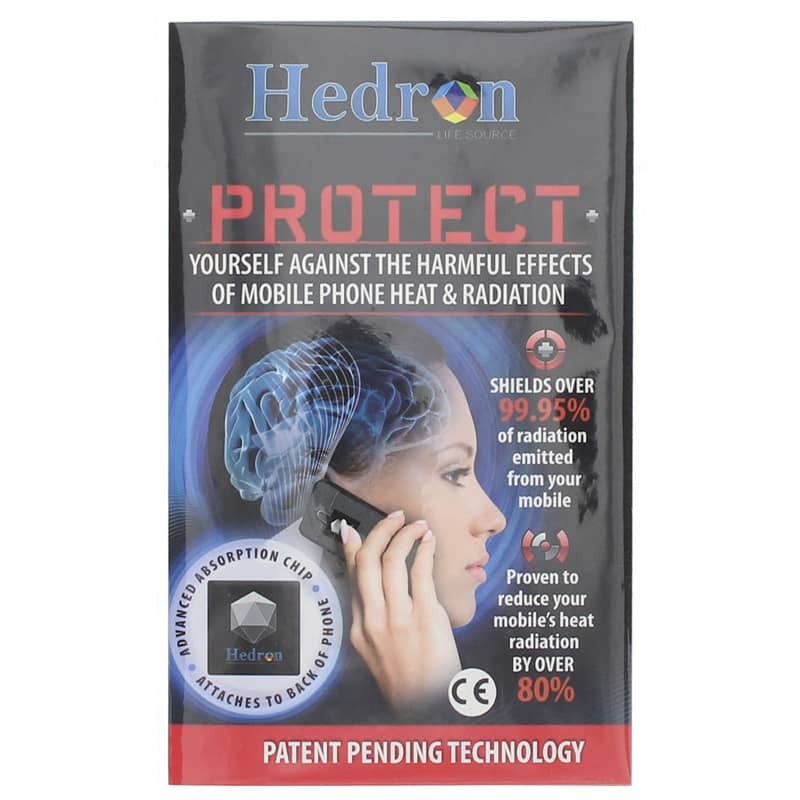 Hedron Protect Cell Phone EMF Harmonizer and Heat Reducer is placed on the back of your cell phone to protect your ears, brain and body against the harmful effects of cell phone radiation and heating. The Hedron EMF Shield is comprised of 12 specific harmonizing minerals and is 'impregnated' with a frequency called Scalar Energy, which matches the earth's beneficial frequency of 7.83 Hz. This frequency is also called Schumann's Resonance, the most highly beneficial frequency on the planet. 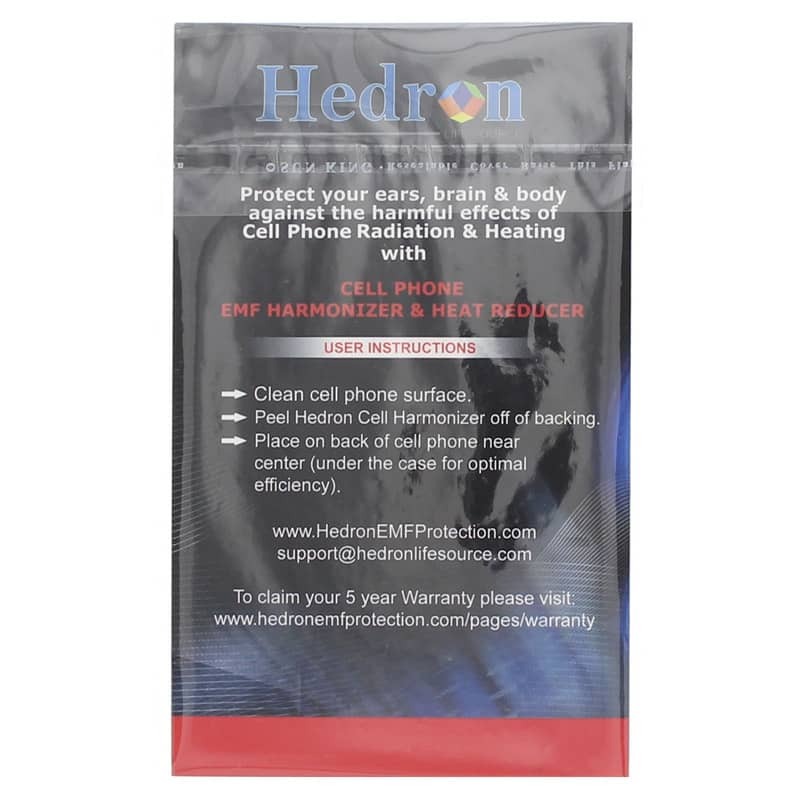 The Hedron EMF Shield assures your cell phone and other electronic devices are not robbing you and your children of essential life force energy, and cellular health. Now, more than ever before, EMF protection is not only important, it is essential for your continued health and well-being. Peel Hedron Cell Harmonizer off of backing. Place on back of cell phone near center (under the case for optimal efficiency).